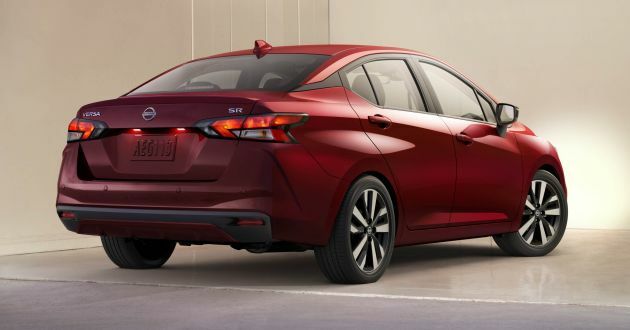 Nissan partnered with Live Nation to unveil its all-new 2020 Versa in the middle of a pop-up performance from popular country music star Kane Brown at Rock the Ocean’s Tortuga Music Festival. Habis lah Vios. This is really a good looking car inside out compared to the current Almera. wow, cantik…. totally different from existing almera…. If entet Mesia, look good to give vios n city a hard time. WOW….. this design looks galaxies away from current almari(especially cheapo round dash)….. Hope will comes fitted with AEB. Will be a WINNER if its comes with Renault 1.33L M282 turbo engine which can be found in 2019 V177 A200. Finally…..Nice. Much much better than current design inside and outside. Now Almera can fight with City and Vios. Buyers market! This is so handsome. Bring it here ! Very nice looking. But knowing Tan Chong being Tan Chong, need to wait another 4-5 years before it hits our shores. 1.6 only 122hp? Even honda city 1.5 already 118hp. So we shall see this here in 5 years? 1.6 liter engine and giving 122bhp……WOW WOW WOW! What a perfect car! Looks like the old Sylphy that failed here. So fast outdated dy. And the interior is totally cheap & oudated when compared with the current Honda City. Based on its own merits, it won’t sell well unless it is priced like the current Almera. This car will provide vios and city a run for their money. Reliable Japanese car at its best again, only 65k. That’s a pretty good looking car indeed. 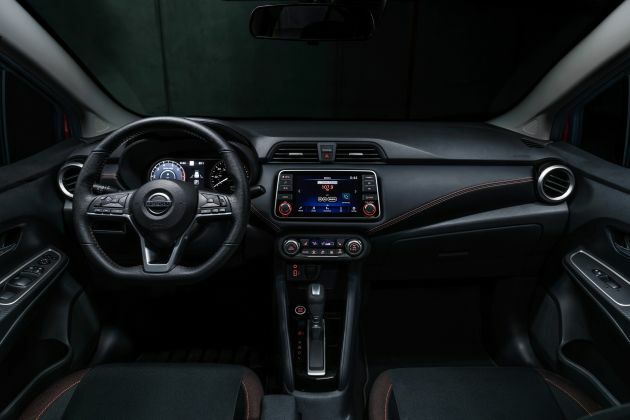 Interior is at par with Mazda. Now, tell us more on its reliability, ride and feel. This… an Almera I can love. Sharper and leaner looking. Much improved from the current one which look frumpy inside and out compared to segment leaders City and Vios. About damm time Nissan did this. Consumers win as the brands battle it out by improving their products to outdo each other. Let’s see how long TC take to introduce this here. This car is 100X better than no RV Persona. The PErsona is confirmed dead. As long as tan chong is the local’s nissan assembler, avoid their cars at all costs. Locally assembled Almera is known to have many reliability problems due to crappy suppliers & production process. Within few mileage, had replaced radiator fans, aircon belt, wheel bearings, compressor, problems everywhere. Then theres the very high maintenance costs at its service center. My last 100k+ major service costs RM3K+ (inclusing many major problems). Waayyyyyy better than the current design. Compared to the current Almera…it is just WOW.. If Nissan is still under Tan Chong motors, avoid this no matter how handsome & advanced it may be. The current Almera is problematic and unreliable. Overcharging in service centers,and unreliable CKD parts (they don’t dare to give 1 year warranty for replaced parts). Don’t get me wrong. The current car is good, spacious than Vios & City (higher seating position), comfy ride and respectable NVH despite the engine is lacking of grunt going uphill. Its Tan Chong Motors that spoils the brand in Malaysia. I am praying for Nissan Motor Co Japan take over the Malaysian dealership, just like Honda did (and they went up to #2). Nissan’s chief designer’s spouse is working for Honda ke? Why is the front looks so much like Honda jazz/city, or is it just my imagination.. This one look more like a car compared to the current one sold here. this new almera looks much better. You got a winner there, Nissan. By the way, Nissan, can you unify the models’ name worldwide-ly? Sunny, Versa, Almera, Sentra, Latio just for a model. If Tan Chong motor going to bring this Almera into malaysia , they might as well bring in the new March as well to compete Toyota’s offerings such as Vios and Yaris , and also honda’s City and Jazz as well . nice design, but probably only will enter Malaysia on the year 2025. Thanks to ETCM. design wise its better than vios, maybe on par with city. Quite a competitive segment. 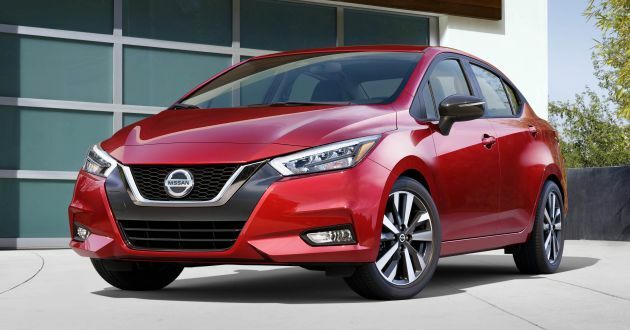 Nissan needs a good refresh to their line up as some of the models are seriously due for newer ones. if tan chong dont grab the chance to launch it in malaysia with full equipment. i think nissan japan should change the distributor which is tan chong. this can go head to head with new vios and the city. Way better than current Almari. Tan Chong will CKDed it in 3 years time as usual. It’s been a while since Nissan launches a nice model like this! Bravo!! I want one! The current model is entering its 7th year, so tan Chong bring it in fast! Secondly, I’ve to agree with the rest of the guys here, your current Almera quality socks! Less than a year, I got 3 faulty wheel bearings, leaking cooling coil, and squeaky belt. This should happen in a Japanese brand cars! Make it right this time or lose the confidence forever. Yeah.. Squeaky aircon belt (caused by radiator fan motor), & wheel bearings. had these problems too with my almari. a huge improvement. well done nissan. If the same product planner guy from ETCM who worked on the Serena, I’m begging everyone in ETCM please please please remind him to give this car a new set of wheels.